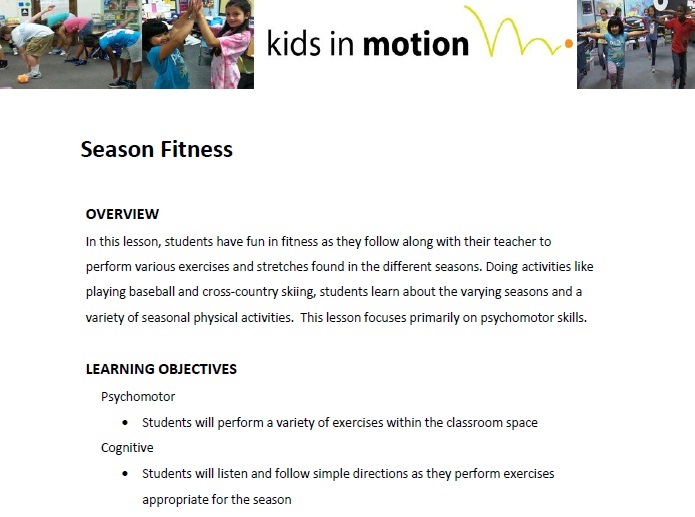 Students have fun in fitness as they follow along with their teacher to perform various exercises and stretches found in the different seasons. Doing activities like playing baseball and cross-country skiing, students learn about the varying seasons and a variety of seasonal physical activities. The focus is primarily on psychomotor skills.